The template shows metaphorically three levels of charity. The first one is understanding and it's depicted by depressive black and white picture of a child with suffering in the eyes. The lower bright multicolor part symbolizes an act of helping on practice. The wide white space means enlightenment from the sufferings. If you are still not sure the theme is great for your philanthropic activity, check the tech side: Cherry Framework, improving it with responsive layouts, advanced admin panel, filtered galleries and other helpful features, would make the usage of your charity website pleasant. 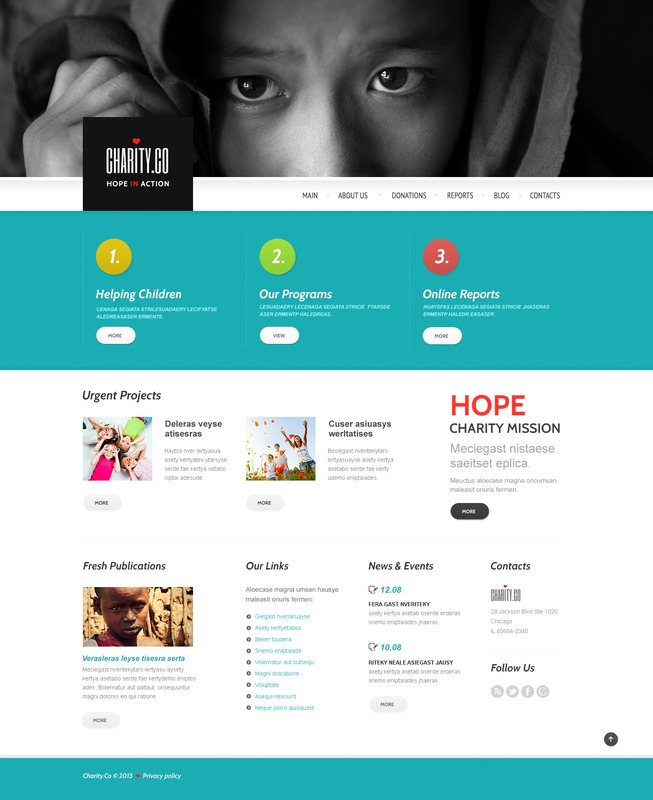 The theme can be used for setting up charity, business, medical, and industrial sites.